Students at the University of Winnipeg have been putting the pressure on its board of regents, the U of W governing body, to improve access to mental health services on campus, demanding that the university increase the ratio of counsellors to students. Early last week, more than two dozen people—mostly students, some bearing shirts that spelled out, “Support students’ mental health”—met to support the cause, followed by the group’s attendance at the U of W Board of Regents meeting to present about their concerns, pressing for more counsellors. Protesters said the U of W presently employs only one general mental health counsellor on campus, leaving many students to meet their counselling needs outside the university. According to rally organizers, there is an average wait time of six weeks for students to arrange an appointment with the general counsellor. Their call is for more counsellors – specifically, more specialists. The University of Winnipeg Students’ Association asked that the U of W hire four more counsellors, supporting the call for enhanced in-house counselling services. In addition to the one general counsellor presently responsible for intake assistance, there are various part-time and full-time service workers specific to certain issues. These positions include a full-time social worker, counsellor, and Manitoba Adolescent Treatment Centre mental health clinician; part-time Addictions Foundation of Manitoba community addictions worker, and marriage and family therapy graduate student therapists. The U of W also offers a full-time nurse practitioner, medical assistant, and part-time dietician as part of the Klinic on Campus, and four elders in residence through U of W Aboriginal Student Services. On-campus personal counselling is available for free to any student currently registered at the U of W – as well as those registered at the U of W Collegiate high school. Although the counselling environment seems idyllic, it is highly specialized, prompting some U of W students to challenge the adequacy of mental health resources available to students. 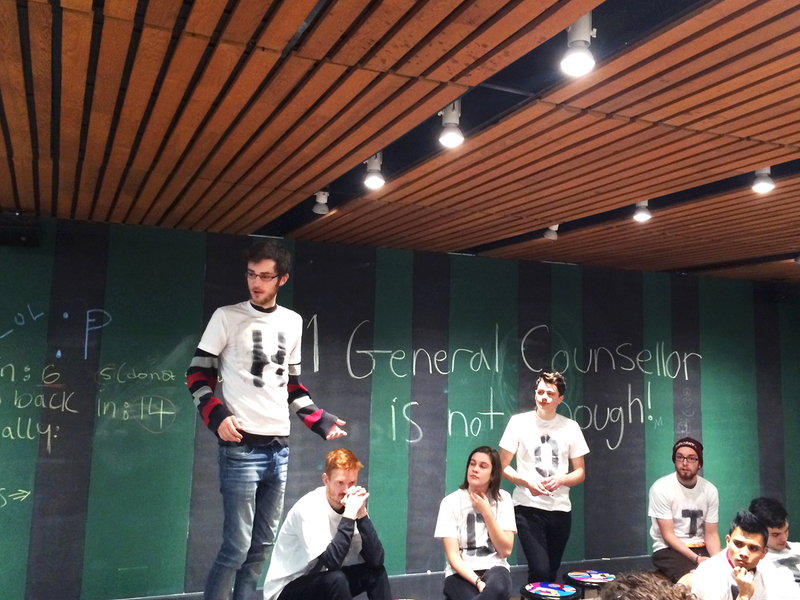 University of Winnipeg students have been organizing around the need for more general counsellors on campus. The one general counsellor services about 10,000 registrants. Since last fall, students have handed out literature and started a petition, garnering over 1,000 signatures in support. Prior to their attendance at the U of W Board of Regents meeting last week, some U of W students met at the HIVE to discuss the recommended counsellor-to-student ratio for an academic institution. The International Association of Counselling Services recommends that universities maintain a counsellor-to-student ratio of 1:1,500. According to the International Association of Counselling Services, some foreseeable consequences of maintaining a ratio exceeding the recommended limits include: longer waiting lists, difficulty providing services to students experiencing more severe psychological issues, increased liability risks to the counselling centre and the university, decreased support for the academic success of students, and lessened capacity of counselling centres to offer support to the wider campus community. University of Winnipeg Students’ Association president Rorie Mcleod Arnould presented to the board of regents, outlining where the U of W ranks in terms of resources per student population, suggesting that a move to get more counsellors would be a step towards a more “student-centred university” where students are not treated like consumers. Following several student testimonials, read by U of W political science student Andrew Vineberg, students in attendance gave the board of regents reasons as to why the student population needs more counsellors. University of Winnipeg president Annette Trimbee called these testimonials “moving,” but responded that she didn’t want this to be an “and/or debate.” Trimbee said that she wants to have a strong in-school support system, but that partnerships with the outside mental health care system were a positive thing. Soon after, the student visitors were thanked by the board and asked to leave for the remainder of the meeting, which was closed to visitors. Among the group of protesters, there was a strong consensus that their plan had been effectively “filibustered.” The initiative has been going on for four months now, according to members of the U of W student group F(un) Class. Lisa Erickson, nursing student at the University of Manitoba, has schizoaffective disorder, an illness she described as including symptoms of depression, mania, and psychosis. 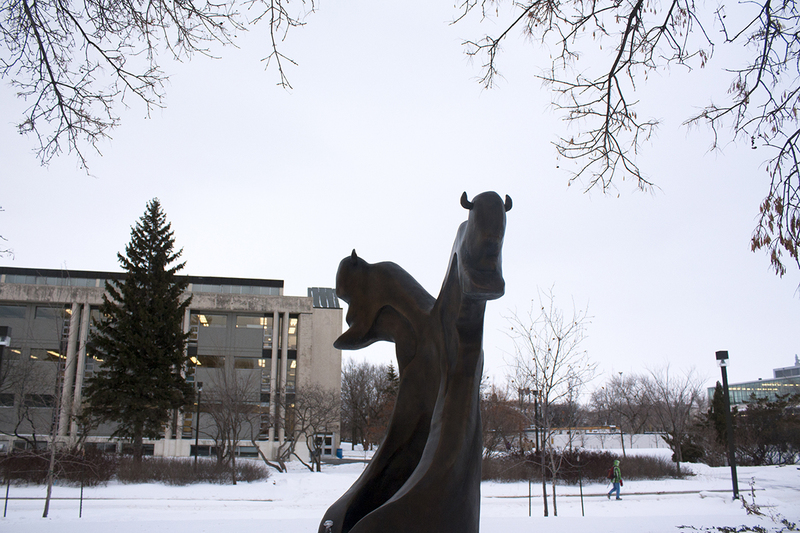 As a U of M student with specific counselling needs, Erickson previously sought out the Fort Garry student counselling services. The University of Manitoba Student Counselling Centre provides personal counselling services to current U of M students. Personal counselling services are available on a first-come, first-serve basis and are limited in number, with nearly all appointment slots filling up daily. “We encourage students to arrive as early as possible on a weekday to request one of these appointments,” reads the Student Counselling Centre website. Erickson said she was turned away twice before finally landing an appointment with a psychiatrist, which was two months since her first application for a meeting. “Once we got the ball rolling, the help was there. But just getting started, getting turned away, and feeling like nobody really cares, that was how it felt starting out,” Erickson said. One U of M graduate, Katy MacKinnon, shared her experience resourcing the U of M campus counselling services last year through the Student Counselling Centre. “It was positive, for the most part,” MacKinnon told the Manitoban. MacKinnon said that she first met with the general counsellor, who typically directs students to specialists. She explained the process: “You go in and you have an intake; and to get an intake appointment, you have to be there first thing in the morning. It only took me two days to actually get an intake, so that was good. In her case, MacKinnon was set up with a social psychologist. Overall, she said that her wait time was short, she felt comfortable with the general counsellor, and that when her specific counselling needs were not being met, changes were made promptly and accordingly. The U of M Student Counselling Centre provides personal counselling at the Fort Garry campus at 474 University Centre on weekdays from 8:30 to 4:30 p.m. The Bannatyne campus location, S207 Basic Medical Services Building, is open from noon to 7 p.m. on Monday to Thursday and 8:30 to 4:30 p.m. on Fridays.